Michael James, Certified Scrum Trainer, shares an article listing his understanding of the key obstacles to Enterprise Agility which can be found in the link on this site. He lists seven obstacles and the most meaningful seems to be number seven, staying committed to the transformation. Each individual on the team must be committed to the transformation, to be willing to endure the “storming period” which a team goes through when they are learning to work together in an agile way. When they stay committed, as Michael James describes, then they are well on their way to adapting the agile methodologies which will allow for high-performing teams. Experts in the field will be well aware of this concept by now, but for beginners it is worth breaking down into bits. 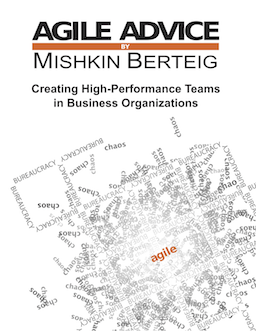 Every conversation about agility in an organization ultimately involves a whole team changing – and not just one or two members by the way — so that an entirely new and more productive environment can allow for more efficient delivery of product. Have you seen an agile team go through storming? What was it like? Did you see positives come out of it? Please describe your experiences here.